Carbon Monoxide (CO) is a dangerous gas that comes from burning natural gas, wood, oil, propane, or charcoal. In fact, whenever you burn something, carbon monoxide is released into the air. It’s not such a problem outdoors for those in the immediate vicinity because there’s enough airspace for the CO to dissipate before hitting toxic levels. But when CO is released indoors, the situation can become deadly. It’s been called a “silent and invisible” killer because carbon monoxide has no color, taste, or smell—and that’s one of the primary reasons why most states require a CO detector to be placed on every floor of the house. Since CO gas is odorless and invisible, it can be hard to tell if you’re getting poisoned. Dizziness, nausea, vomiting, headaches, confusion, and fainting are all signs of potential CO poisoning. If someone passes out while being affected, their situation can quickly become life-threatening. In fact, each year over 400 people die from CO poisoning, while another 20,000 are admitted to the hospital. If you suspect that CO poisoning is going on in your home, get everyone out of the house immediately and call 911. Even if you aren’t showing symptoms, you’ll still want to get checked, because sometimes CO poisoning can take a few days or even weeks to manifest itself. A CO detector is sort of like a smoke detector, but it’s specially designed to pick up on CO gas. 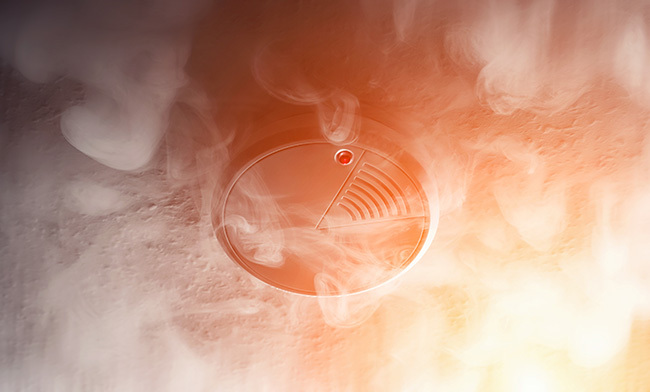 The average lifespan for a CO detector is about 5 years, although you’ll want to test it monthly, usually just by pressing the test button on the unit. Wiping the dust off of it periodically (weekly if possible) is a good way to lengthen its lifespan. Biometric CO detectors utilize color-changing gels that can only absorb a certain amount of gas before triggering a sensor to sound the alarm. Metal oxide semiconductor detectors utilize silica chips that can pick up on the presence of CO gas and send electric signals to raise an alarm. Electrochemical detectors are considered to be the best type. They utilize chemical solutions containing electrodes to sense shifts and changes in electric currents spurred by the presence of CO gas, and then raise the alarm. In addition to these operational differences, there are several types of detectors with different features. Dual function: CO detectors will also have another detector like a smoke detector, or other types of gas sensors built in as well. Digital: CO detectors have a screen that will show you the level of CO in the air. 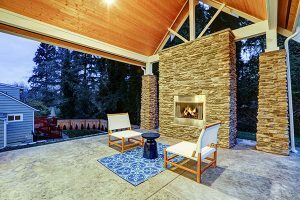 Smart: CO detectors are an advanced option that does their own diagnostic testing to make sure everything is working and synchronized with your home apps. By using these detectors, you can monitor the situation even when you’re not at home. Hardwired: CO detectors don’t use batteries, but rather they are part of your home’s electrical grid. By not having to worry about the batteries going out is a plus, but if the power goes out then you would be up CO creek without a paddle. Battery-operated: CO detectors are, as the name sounds, powered by a battery. This option is pretty standard and basic, and may or may not come with a digital screen. The batteries will need to be checked at least once every three months. It’s a best practice to put a CO detector outside of every sleeping area, and the kitchen as well. Keeping the detector close to your room will facilitate hearing it at night if it goes off. Placing one in the garage is also a safe move because a car that’s been left on inside of an enclosed space like a garage is a prevalent cause of CO poisoning. You can protect your nest with Nest Protect, a smart, dual-function CO detector that can be managed from an app and doubles as a smoke detector. You can get alerts to your phone, and even silence the alarm once you’ve become aware of a leak. It comes with both battery and hard-wire capabilities, so you can choose which one works best for you. Nest Protect also has a human voice notification option, so you could feel like you’re on Star Trek if CO ever leaks into your home, the device will pretty much shout red alert or abandon ship or something like that (not exactly though). All these amenities come with a price tag well over $100, but in a sense, you get what you pay for with this high quality, awesome, versatile device. Incidentally, for those who don’t like the utilitarian look of your average CO detector, this one has a nice Fibonacci sequence pattern that looks like a sunflower. First Alert has been making safety equipment like smoke and CO detectors, fire extinguishers, and various alarms since 1958. If you’re looking for an easy to install option that can be plugged right into an outlet, this could be the one for you. This little device doesn’t come with fancy bells and whistles, but because it’s a plugin and is priced at about $10, it’s a great, affordable option to put in every bedroom. The sensor is electromechanical, and it comes with a digital display to show the level of CO gas in the air. The alarm is loud at 85 decibels, which could be a plus and a minus, but if it’s going off you’re probably going to need to get out of the house quickly. From the time when you plug it in, it’s super easy to install, but it also has a battery backup in case the power goes out, which makes sure your home will be continuously monitored. The unit has a seven-year lifespan, but it also comes with a signal chirp to let you know when it’s on its last legs. This model has a digital display that shows the level of CO in PPM (parts per million) and updates its reading every 15 seconds. It’s battery operated, which means you can attach it anywhere on the wall, and not have to locate it near an outlet. Even better, because it’s off the grid, it will keep monitoring your home during power outages. A low battery signal will let you know when it’s time to change them, and the way the door is set up, it’s hard to close without batteries inside—which will help you make sure it’s ready to go. A test and reset button allow you to test the unit or reset it if the alarm goes off. It may not be a smart device you can operate from your phone, but its a great, basic, battery-operated CO detector for the home. You can kill two birds with one stone when it comes to saving lives from smoke and CO gas with this device. Although it’s wired to be part of your homes electrical grid, it also has a sealed, ten-year lithium battery backup inside, which means this device will essentially last a decade without you having to replace it. fire or CO gas is the immediate threat, and an 85 Db alarm will certainly get your attention. Its special ionization sensing technology is great for detecting quickly moving conflagrations, and it can operate up to 100 degrees Fahrenheit (by that time, you have hopefully left your house). 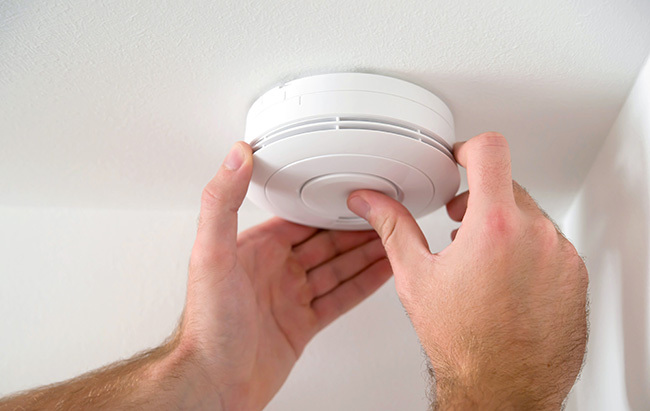 For the safety of your home, you need both CO and smoke detectors, so it’s nice to save money and reduce the aesthetic impact of these devices on your home’s interior by getting two of them in the same unit, all for around less than $40. Truth be told, carbon monoxide is created from improper exhausting of fumes. 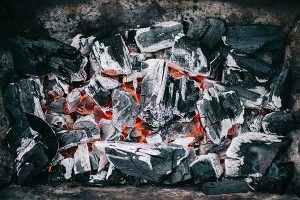 Consider how many times you have used your chimney and think about all the creosote and dirt that is build up inside of your chimney. 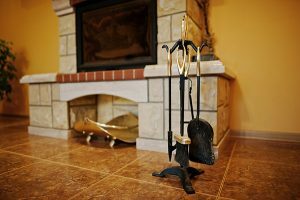 As a result, your home is vulnerable to high levels of carbon monoxide because all the smoke is not properly passing through the chimney. Since 1985, Early Times has provided families with excellent cleaning and inspection services in Chicago and suburbs. 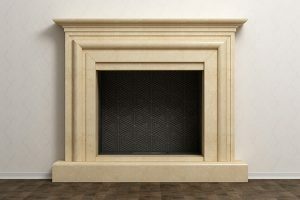 There’s no other company in Chicago and Suburbs that has the experience and expertise in cleaning fireplaces and chimneys. Speak to a specialist and get a free quote today.